If you're on the hunt for last minute Christmas gifts this season, I feel like I'm your Christmas fairy godmother to the rescue today. 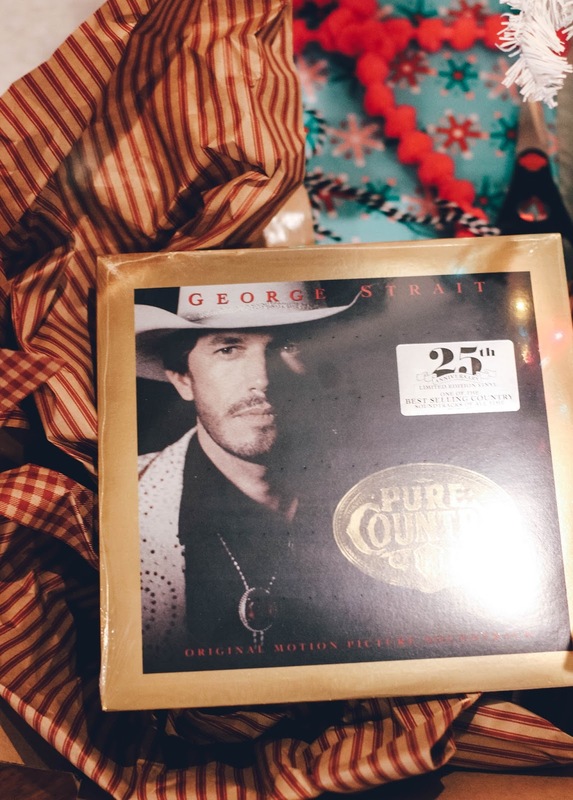 I have a place that I guarantee you've heard of, and probably been to at least 10 times, but might not have considered them as a Christmas gift wonderland.... until NOW! I bet you're wondering where I'm talking about? Well, I'll give you a hint; they're known for their rocking chairs and legit the best chicken n’ dumplins in all the land. 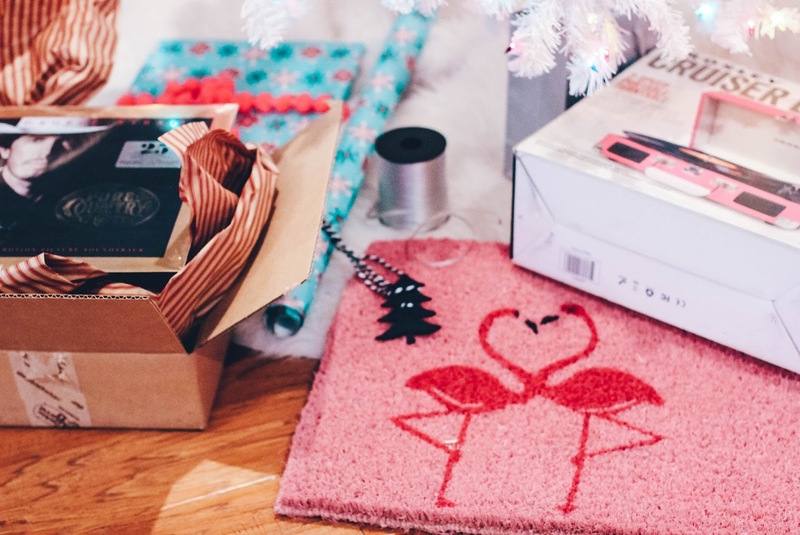 Yup, today I'm teaming up with one of America's favorite places, Cracker Barrel, , to show you some killer last minute gifts for an insanely great value. Would you even believe they've given me a 30% off promo code to share with you guys? Use code JOY30 for 30% off your entire online order! 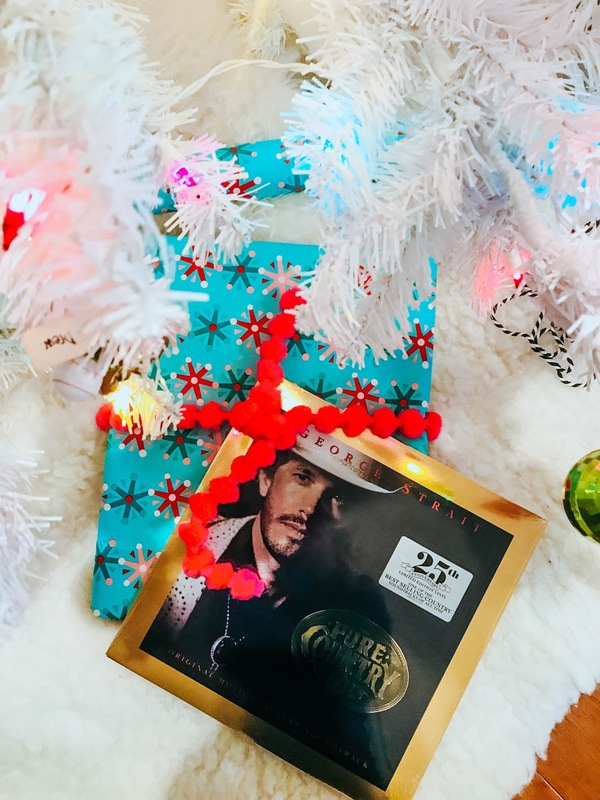 When I first jumped on the Cracker Barrel website, I had NO IDEA they had so many amazing gifts, cute houseware, fashionable blanket scarves, cozy blankets and an absolute plethora of items you just simply won't be able to live without. Then when you look at the price in your cart, especially with that extra 30% off, you won't believe your eyes. Such a good deal for the cutest stuff. 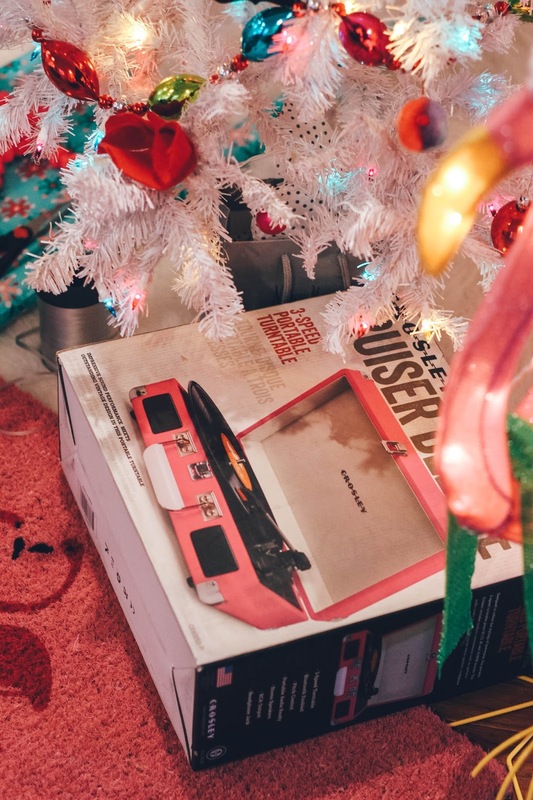 Let's dive right in – here is my Cracker Barrel gift guide for great last minute gifts this Christmas. 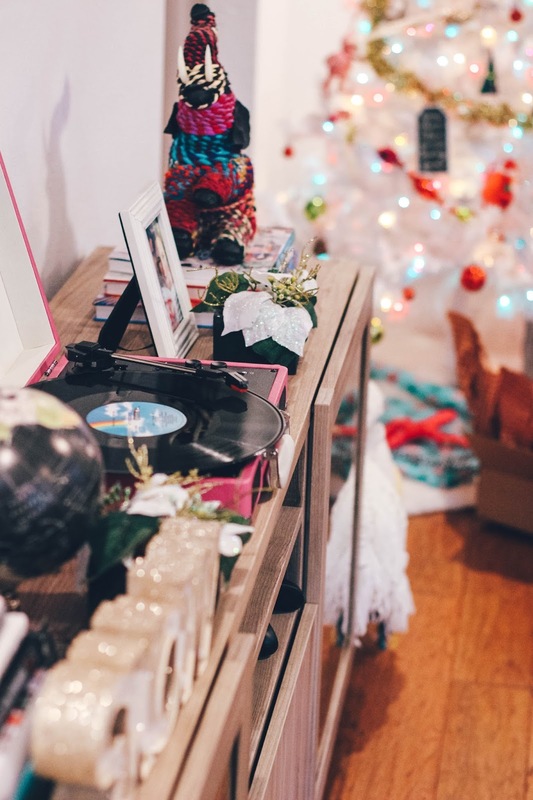 Ever since CB and I last visited Austin and stayed at Hotel Saint Cecilia (they have record players and records in the rooms), we've been dying to own our own record player. We picture ourselves dancing cheek to cheek in a candlelit living room while the records spins. 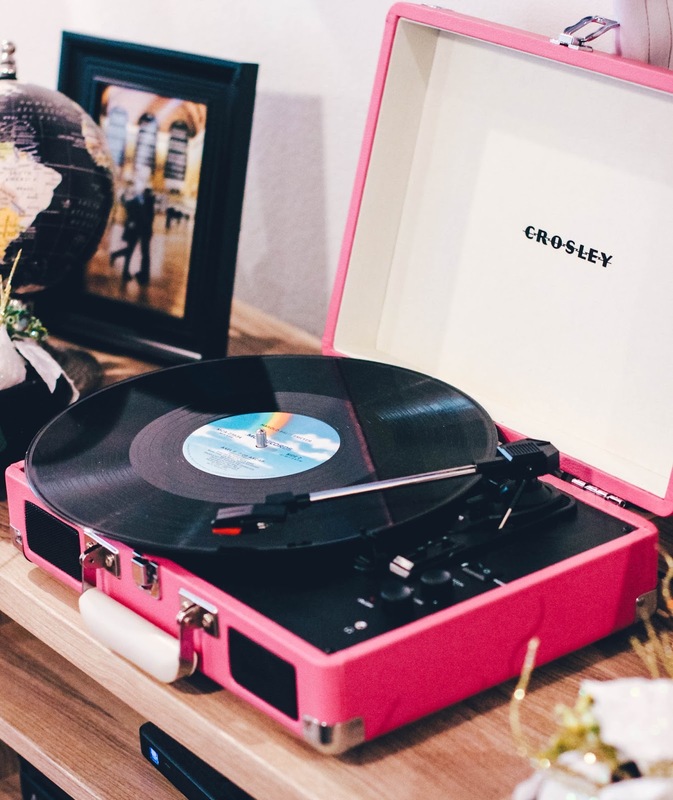 There's just something so romantic about a record player, don't you think? Although Cracker Barrel has three entire pages of record players, this pink one stole my heart! 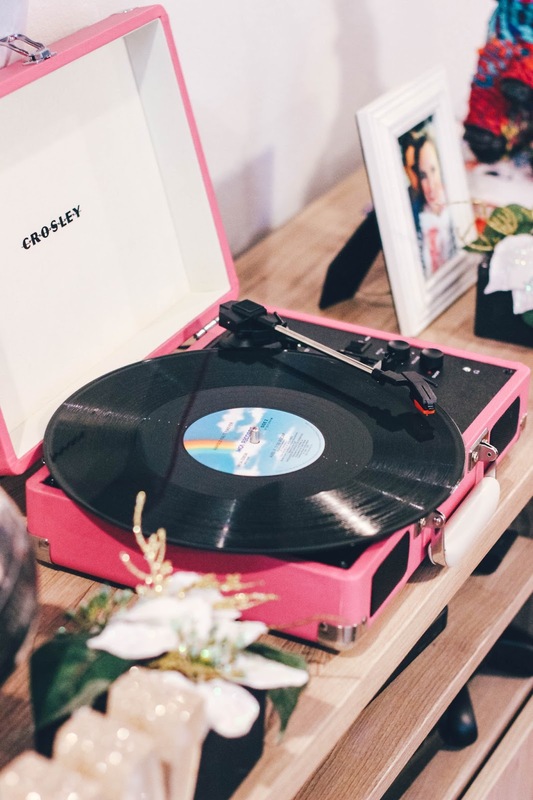 What's a record player without any tunes to go with it? I picked up the best from my boy George Strait, Lady A's Heart Break and the Walk The Line Soundtrack! You know my love for Tennessee, so I feel the need to push that love on to literally everyone I know at all times! 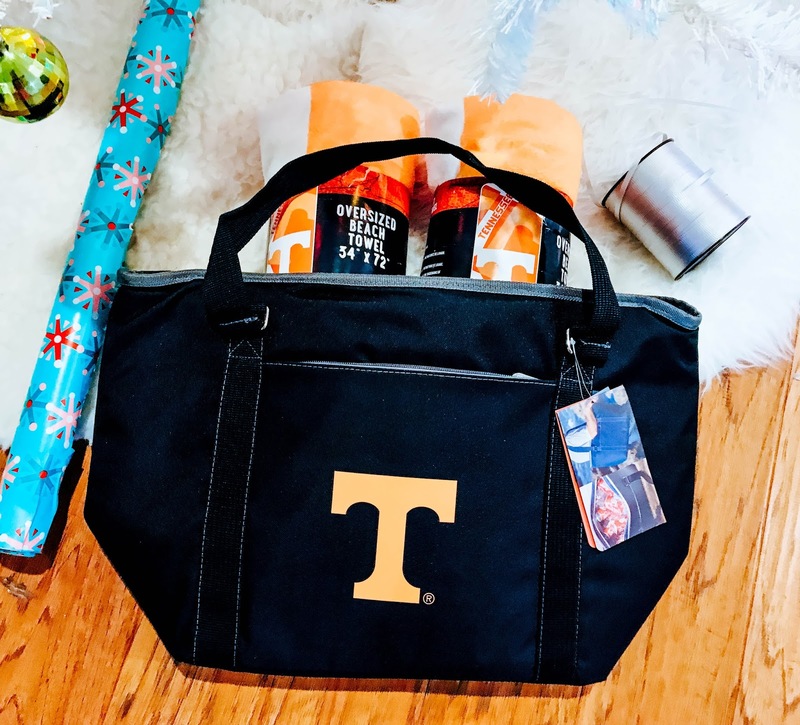 This year, I picked up my mom two Tennessee beach towels and a Tennessee cooler bag she can bring her waters and soft drinks down to the beach in! They have so many collegiate and NFL teams available! Most certainly something for every fan. Scarves are always the best gift to give because you can never have too many of them! I, for one, probably have 20 scarves, but if someone gave me one for Christmas I'd be pumped. I just love scarves, they instantly make you look more fashionable and put together. 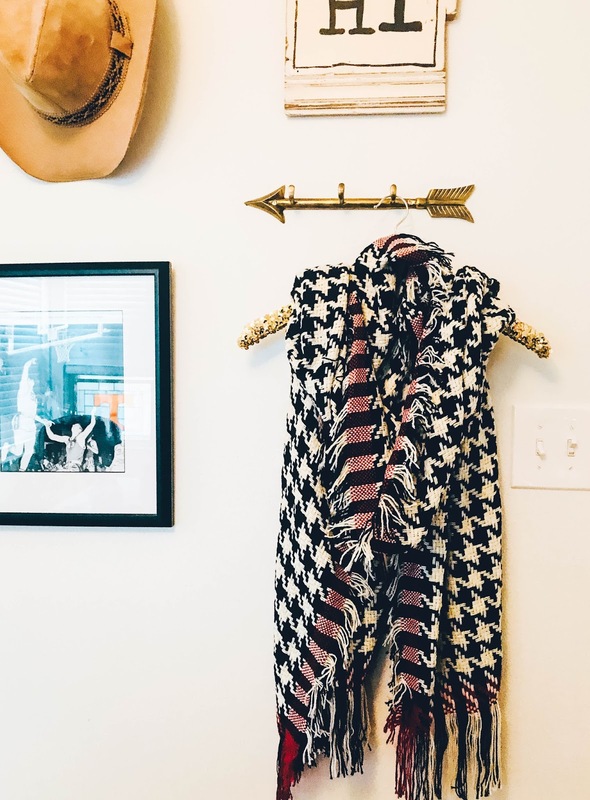 I got my mom this houndstooth blanket scarf, but I also was really into this one and this one! I don't know about you, but we do not change our welcome mat out very often like we probably should. 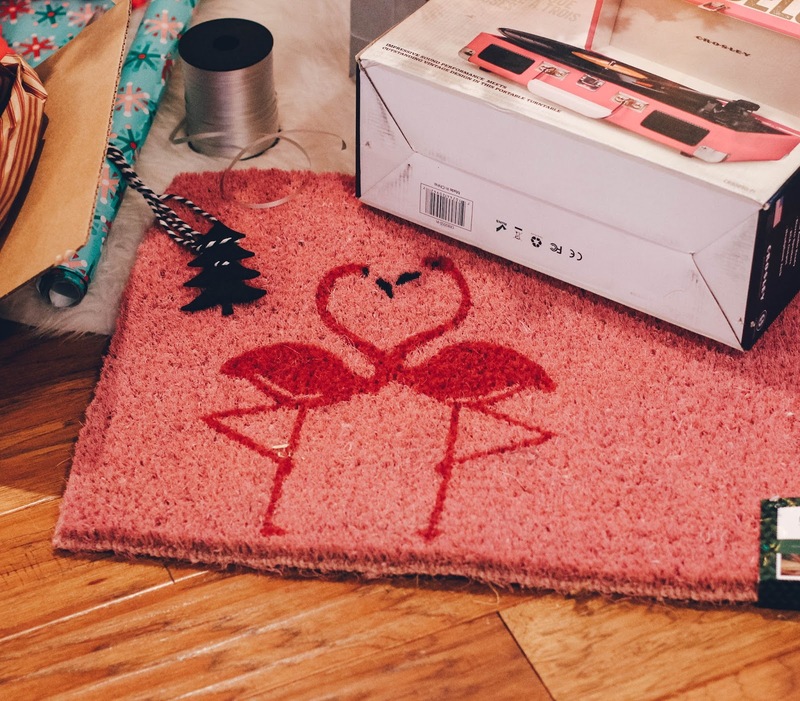 Welcome mats are a great gift because that's something you'd rarely think to buy for yourself. My mom lives at the beach and loves flamingos, so I got her this one! I couldn't help but do a little shopping for myself too. We recently redid our home office and CB and I each have back to back desks. We only had one lamp and really needed a second. 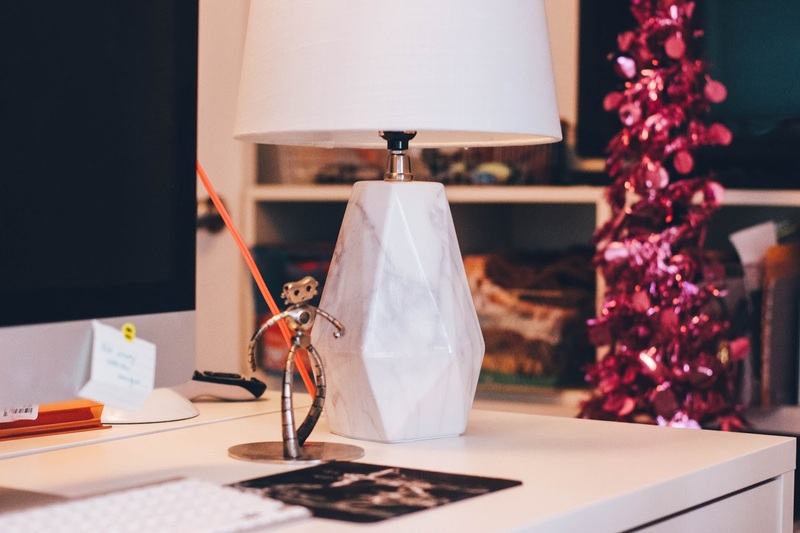 I was so in love with this faux marble table lamp, it looks so cute in our office! SOOOO, what do you think? Have I convinced you to click over to Shop at Cracker Barrel yet? What about that additional 30% off code Joy30?!? 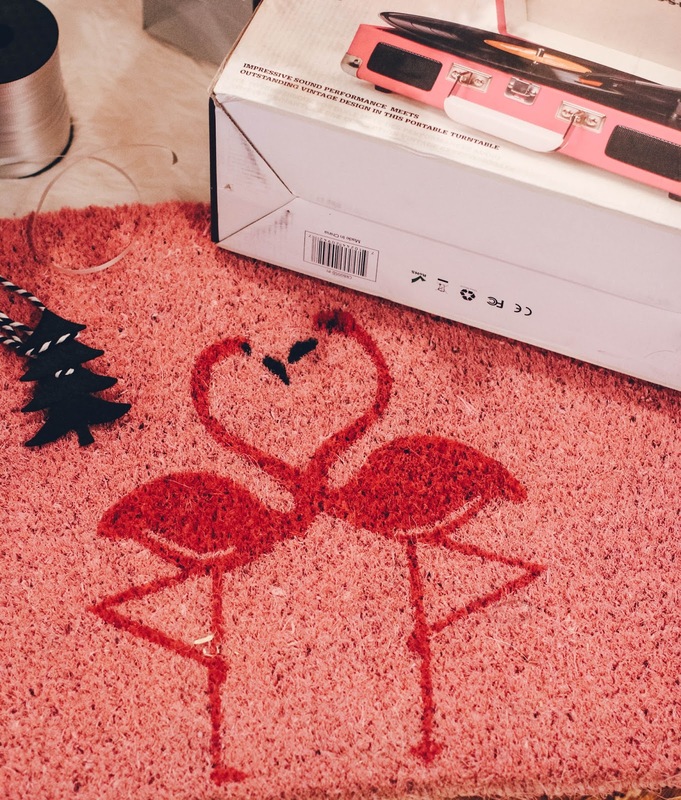 Go forth, shop your heart out and Merry Christmas! I'd love to know what you find, tell me in the comments below! Thank you to Cracker Barrel for sponsoring this post. All thoughts and opinions are my own. This post is sponsored by BabbleBoxx.com, but all thoughts and opinions are my own! You want to hear something hilarious? Well, at the end of November I was at a blogger event and I told everyone there that I was currently looking at a super slow December. Aside from my mom coming to visit for my birthday weekend, and heading home for Christmas weekend, my calendar was pretty sparse. Well, then that first week in December everything started rolling in and I’m chuckling at the thought that I thought December would be slow. I’m looking at a grand total of like 2 days without something blog or work related on the calendar. 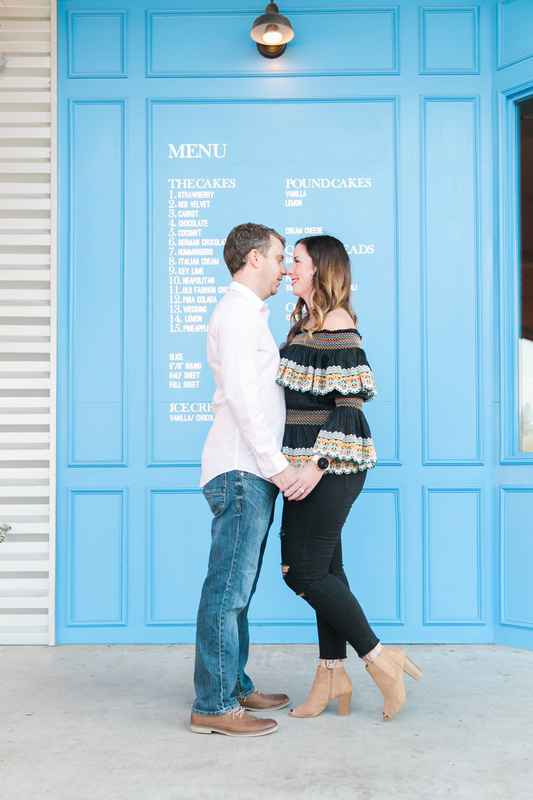 You guys know though how much I love a jam packed social schedule, hence the reason I started Dallas Love List to begin with. My favorite time of the year is December, because everything is kicked up a notch during this month. Everyone is in a better mood, the Texas heat has finally given us all a much needed break and glitter is literally everywhere. It’s the best, it’s the time of year I look forward to the most. Oh, and also, yeah, it’s my birth month so that doesn’t hurt things. Every event I go to seems to have a photographer from D Magazine or the Dallas Observer in attendance, so I do my best to put in a little effort to make sure I don’t look like I just rolled out of bed (even if there’s a chance I did! LOLS! Hey, I really really REALLY like sleeping, big whoop! 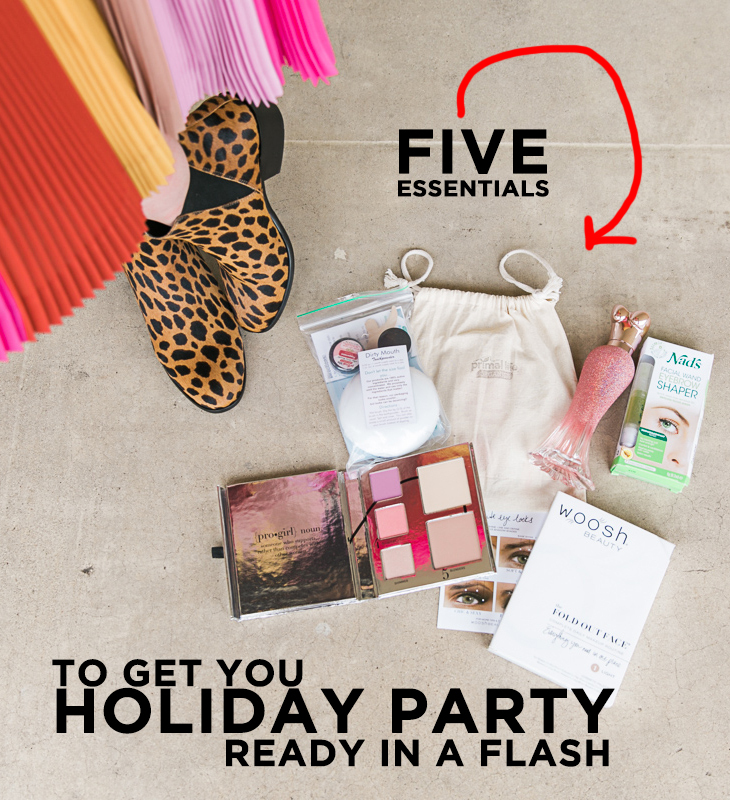 I’m teaming up with Babbleboxx to bring you the 5 things every girl should have in her arsenal to make her party perfect in a flash! I’ll admit, I am NOT a big shoe girl. Carrie Bradshaw would probably look at the shoes in my closet and scratch her head. Then she’d probably peek around the house, looking through other closets, convinced one walk-in must be dedicated to shoes. Well, she’d probably come up short. Enter, Vince Camuto’s Chelsea Boot! I’ve been a Vince Camuto fan dating back to my days of living in Knoxville. I used to contestantly tell my friend who worked at one of the local department stores that Vince Camuto can do no wrong! 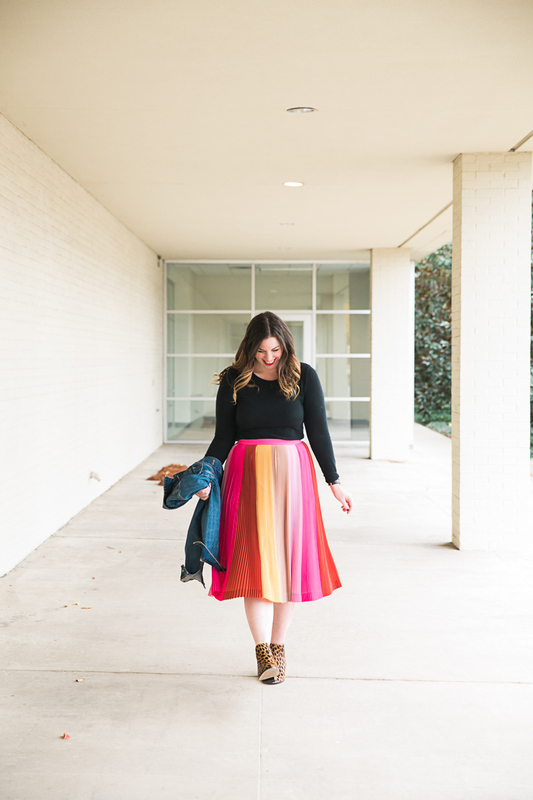 These are perfect for your holiday parties, but I wore mine out to a blogger dinner in Uptown and was flooded with compliments. 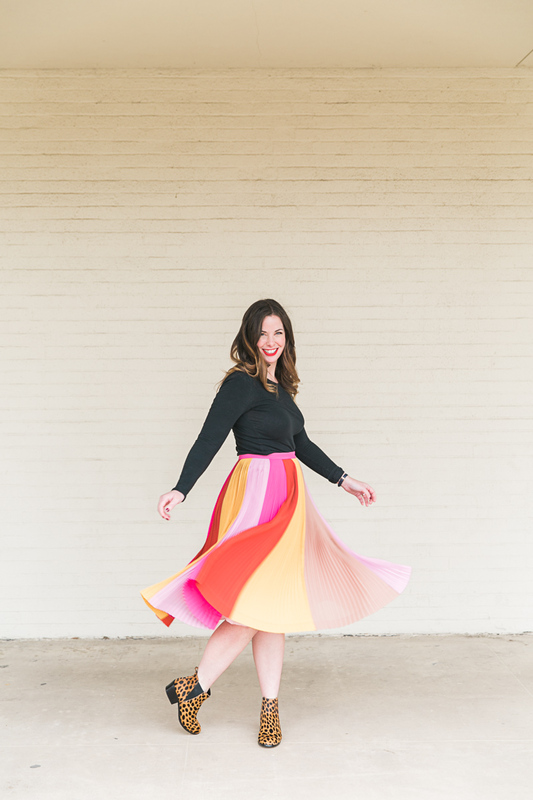 Call me crazy, but I decided to just embrace the wildness and paired it with this colorful skirt. I had fun with it and I think people really dug the combo! Ok, I’m new to the world of eyebrow shaping. Although my mama convinced me never to over pluck my brows, I went the alternate route and just never really touched them aside from some light tweezing. It was only recently, after getting my makeup done for our engagement pictures, that I realized just how important eyebrow shaping is. The Nad’s Facial Wand Eyebrow Shaper is a great (and easy to use!!) kit to shape your brows for your next party this month. The slim tip precision applicator is filled with a natural, non-heat formula that washes away with water at the end of the day. In fact, the kit even comes with washable cotton strips and cleansing wipes! Before I was attempting to just free-hand shape my brows, but since finding this kit they look so much better and they are honestly EASY to do! I am almost always going straight from work to whatever event I might have. I need something that folds up and I can easily throw in my purse so I don’t have to bring my whole big makeup bag. 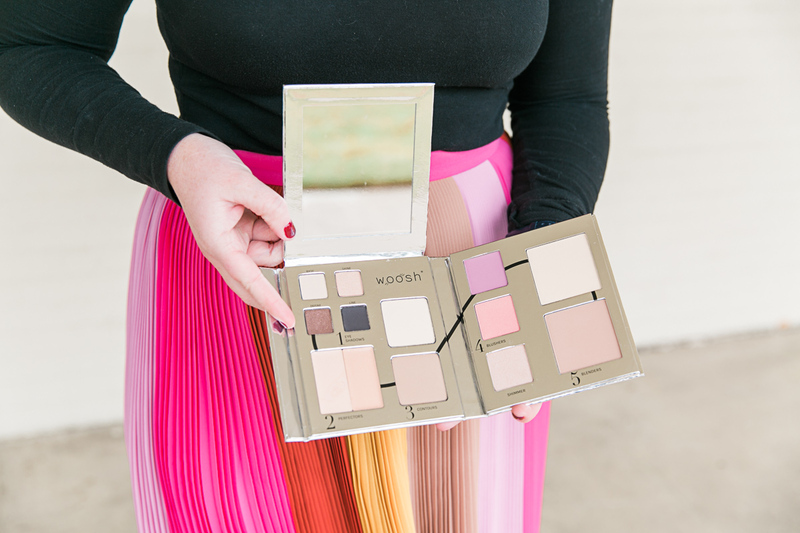 Woosh Beauty’s Fold Out Face is perfect for doing your makeup on the go… Read Also: in the bathroom at work or in the parking lot before your party! I’m a big eyeshadow fan, and I love how this one has shades that are universally flattering. It also has flawless complexion coverage, dark and light contouring powders, cool and warm brushes and even an incredible highlighter all in one slim, portable palatte. Oh and it is paraben free, mineral based and animal cruelty free! BONUS: Use code BB15OFF for 15% off your Woosh Beauty purchase! At work, we talk a lot about the power of scent. Having a signature scent is so amazing because it can bring back fond memories and transport you to another time. Over the years, I’ve certainly used my fair share of scents, and each one brings me back to a different time in my life. I keep all of my old scents in the guest bathroom, and anytime I smell them, I can picture an exact time, perhaps a date or a party, when I wore that fragrance. A fragrance I’m really liking now is Rosé Rush by Paris Hilton. I was blown away the first time I smelled this because I feel like the fragrance can transcend generations. It’s one of those fragrances that is timeless and I feel like my daughter would wear one day in the future. I could also picture my mother wearing it when she was my age. I’d absolutely spritz this on before your next party, it’s so lovely. I wear a bold red lip 3 or 4 days a week. I just love the look and it makes me feel so confident. As you know, nothing pairs better with a red lip than bright white teeth! I’m really digging the Primal Life Dental Kit. Charcoal is all the rage right now for it’s stain removing power, and this kit comes with a charcoal ion toothbrush, plus LED teeth whitener, an all natural toothpowder and 100% all natural boost whitening paste. The whitening paste works in unison with the LED Teeth Whitener to brighten your smile! The toothpowder is made to remineralize, detoxify, whiten and strengthen. 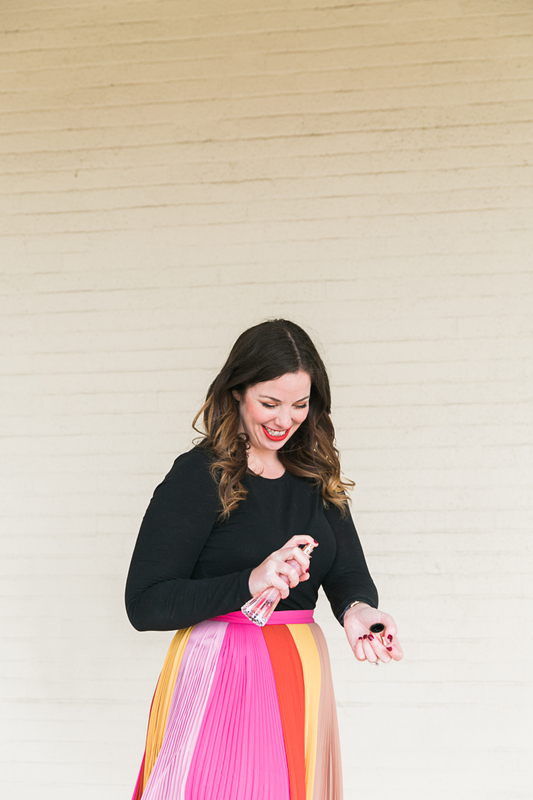 Fab for a holiday party, OR, for someone who has a wedding coming up on March 3rd! 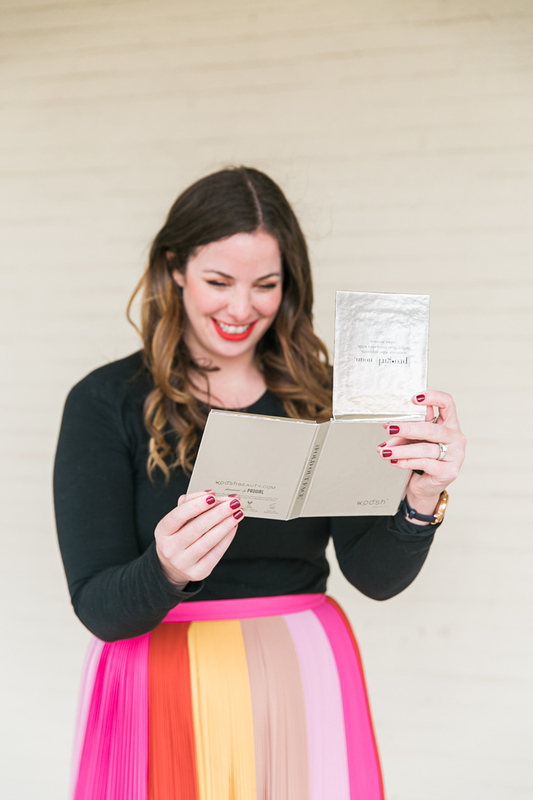 So those are a few of my current go-to's for being totally party ready this December! What are some things you're currently loving? 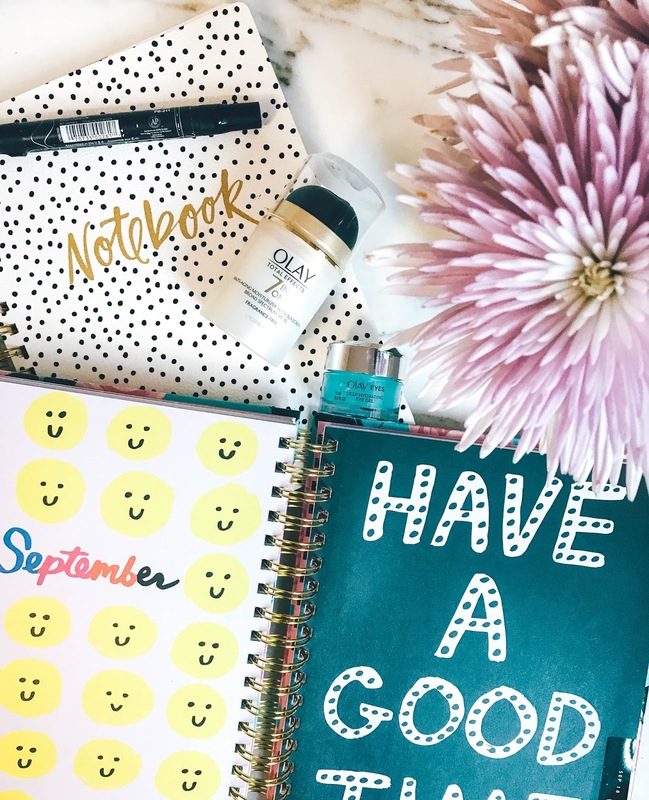 Have you tried any of these products?? Let me know in the comments below! Thank you thank you thank you to my dear friend Ally who helped me with these beautiful images. Thank you to Olay for sponsoring this post. All thoughts and opinions are my own. 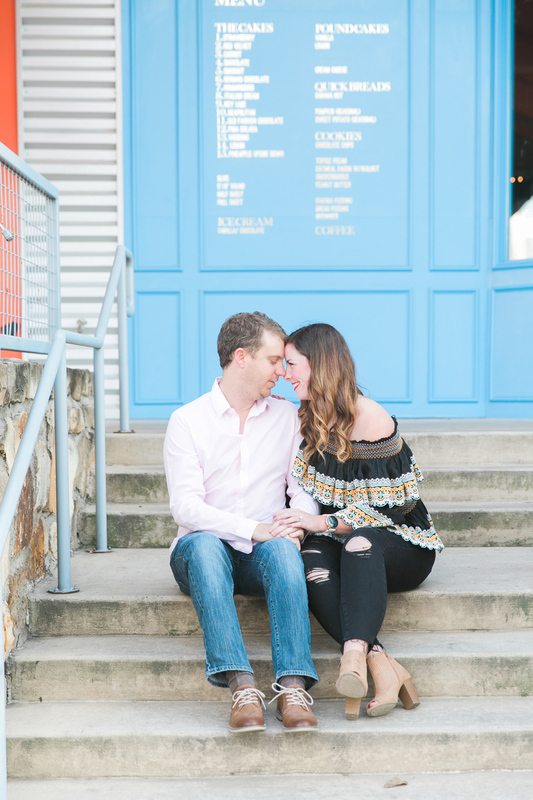 We are closing in on just under three months until our wedding day! 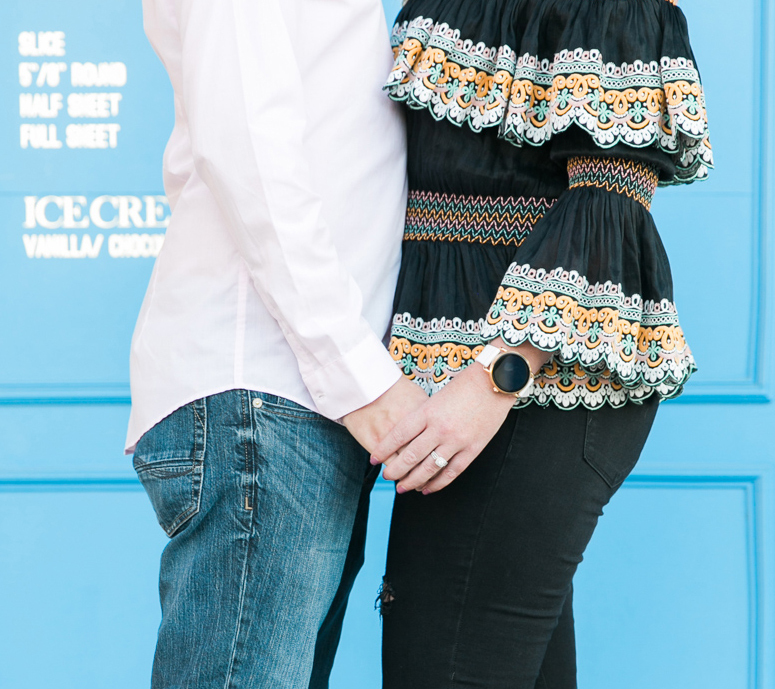 We have had what has felt like a life-long engagement. Really, it hasn't even been a year yet though. 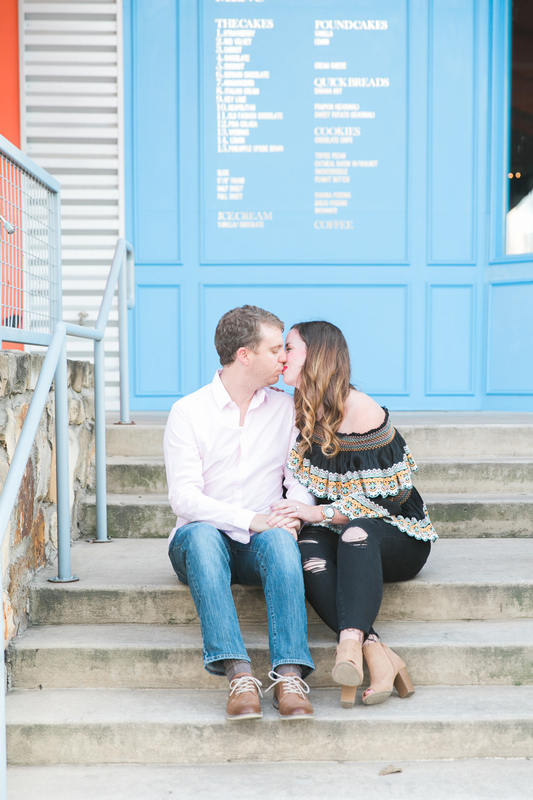 I'm just so anxious and giddy to marry my best pal. I'm ready to take his last name and I'm ready to start our new life together. Although, seeing as we live together I assume it's really the same life together, just a little more tied to one another than before! POINT BEING, I'm simply thrilled. People keep asking how the wedding planning is going. Well, I can't say I've done too much. I really need to stop eating out so much and working out more. That will be my goal for the next three months. 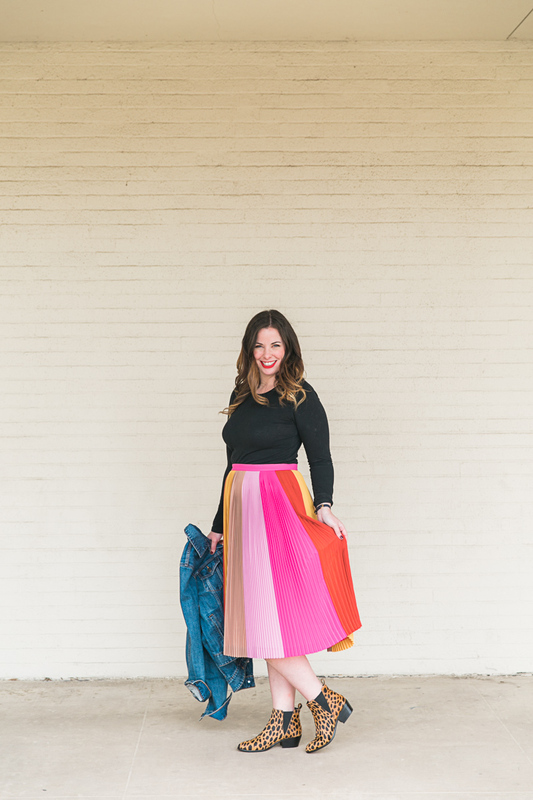 I've already started bringing my amazing photographer and foodie friend Ally on as a contributor for Dallas Love List. This way, I can focus a bit more on myself and my body, and less on how many calories I can consume in one week. Another thing I've really been focusing on to get wedding ready is my skin. I've told y'all many times that only recently I decided to make skincare a priority. Up until about a year ago, I would consistently go to bed with makeup on, I was stage 5 level of lazy. It was bad. Upon turning 30, I vowed to never go to bed with my makeup on ever again. 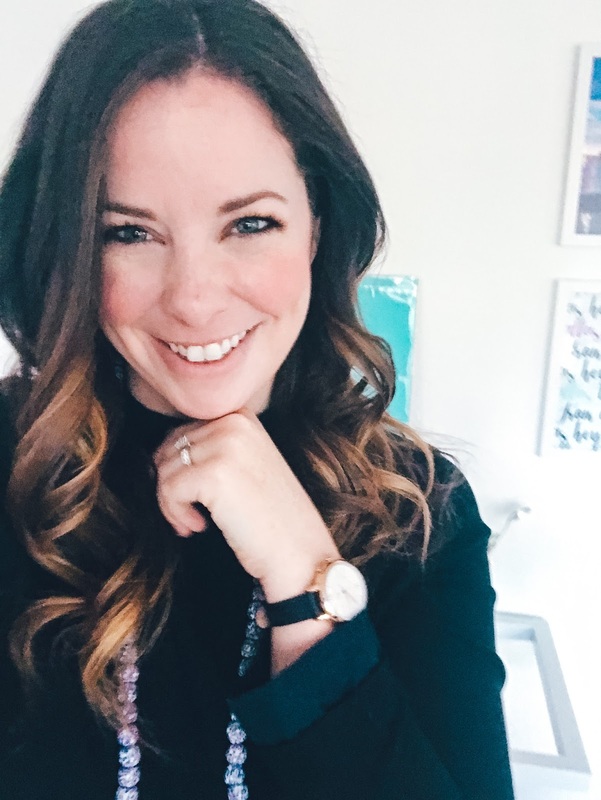 I certainly slip up on occasion, but for the most part I've completely revamped my skincare routine over the past year. A while back ago I told y'all on Instagram about taking the #Olay28DayChallenge. 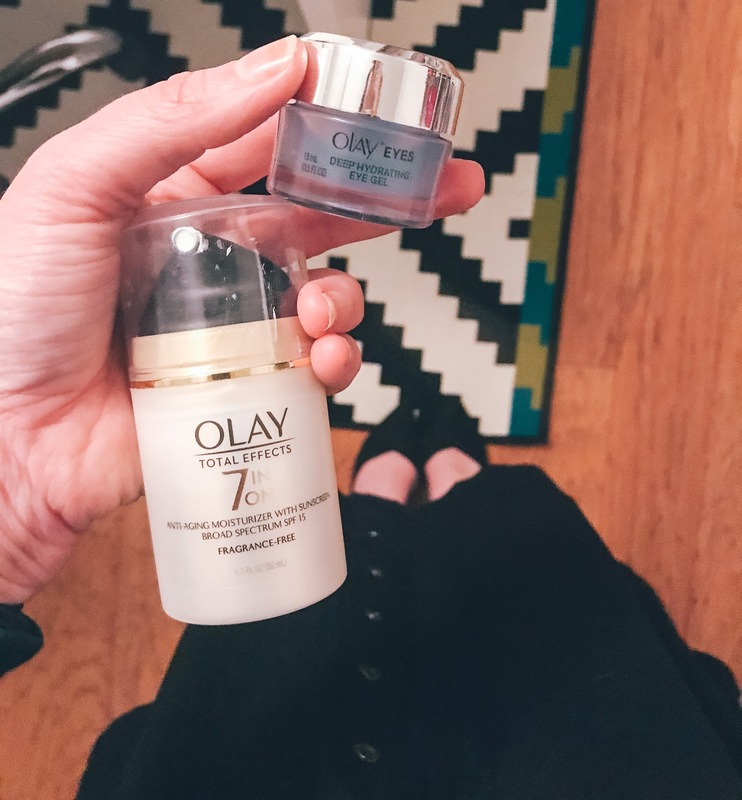 For 28 days, I replaced the facial moisturizer and eye cream I was using, and instead exclusively used the Total Effects products in the following 2 Step regimen: Step 1: AM apply the Olay Total Effects Moisturizer with SPF 15. Step 2: AM and PM apply Olay Eyes Deep Hydrating Eye Gel. Ok so truth, I wasn't using an eye cream before. I know, I know. Go ahead and yell at me. 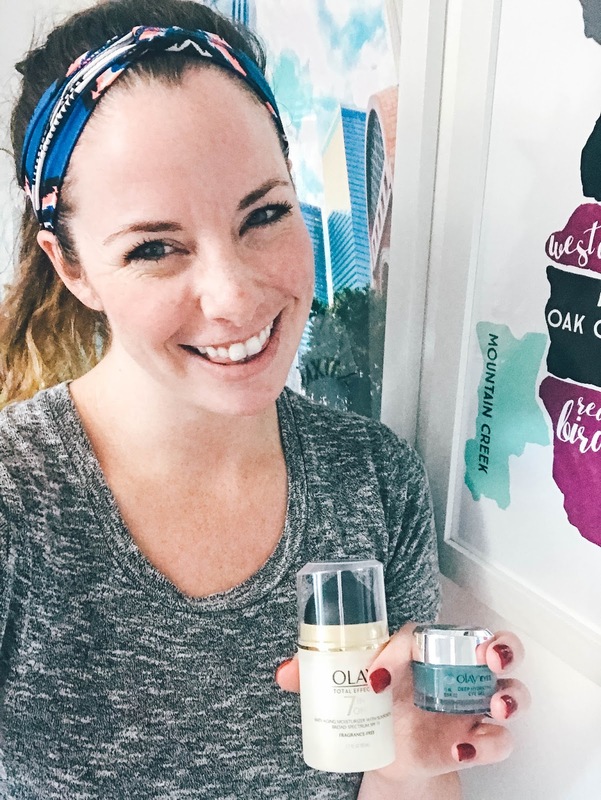 I am totally obsessed with Olay Eyes Deep Hydrating Eye Gel. Right after I wash my face, it always feels super tight and dry. I have the driest skin, especially in these cold months of the year. 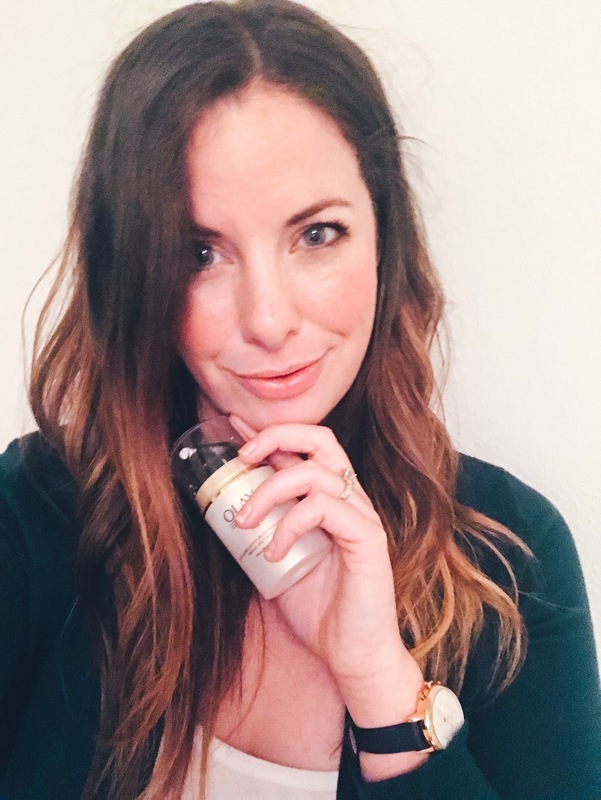 Forming a new habit of using new products both morning and night was actually really easy. After this 28 days, I legit just reach for the products without even thinking twice about it. The eye gel made the skin under my eyes feel so much softer, it was crazy the difference it made. At night, after washing my face it was an instant softness after application, followed by a morning that needed far less concealer than normal. I cannot believe it took me so long to use eye cream. Previously, when I put on foundation, my forehead would look really flaky. Since I started using the Olay Total Effects Moisturizer though, I don't see any flakes whatsoever. My skin is soft to the touch and stays that way for the entire day. It's a noticeable difference, I'm being honest when I say it has transformed my skin. The 28 day challenge has since turned into a lifestyle change. I'm now inviting you guys to participate in the #Olay28DayChallenge by starting your journey with the Olay Skin Advisor, the most precise skin diagnosis available to the public. The Skin Advisor really works, 95% women agreed that product recommendations felt “right for her!”. I also have a unique code for the first 15 of you guys to visit the Skin Advisor you'll get $40 off your purchase of recommended products by using code: 28DAYS8391. So tell me, have you taken part in a skin care challenge before? Do you think this would work for you? Are you going to give it a go with me?? If so, share your results! I promise, it's so simple and you'll form a new routine before you know it. I was asked to participate in the #JaredTimelessMoments campaign, sponsored by Jared The Galleria Of Jewelry. Although I have been compensated, all opinions are my own. 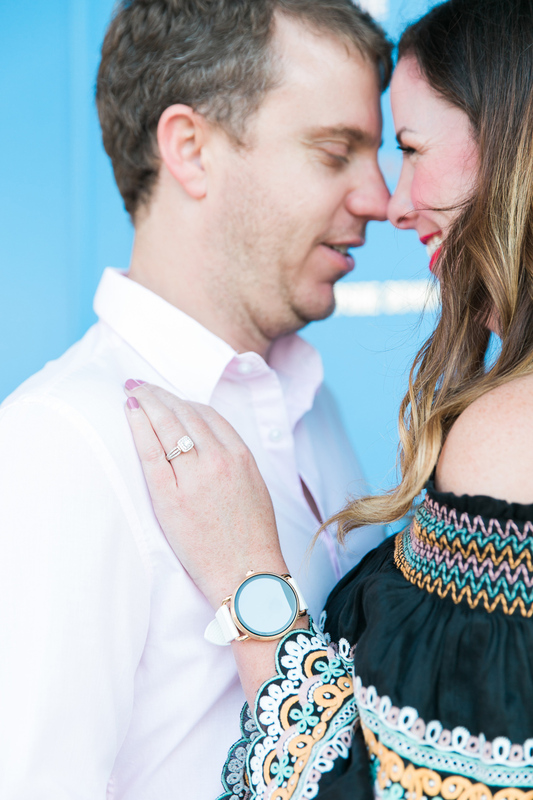 I'm pumped for today's blog post because I'm teaming up with my favorite person in the entire world, CB, to talk a little bit about how he picked the perfect ring to propose on that absolutely perfect chilly Saturday back in January. The reason for CB's help on today's post is thanks to a partnership with Jared The Galleria Of Jewelry. You might have seen my Insta stories a few weeks ago, where I showed you guys a peek of some stunning engagement rings from Jared. There were four very different, very gorgeous rings that I find insanely beautiful. I'm wearing those rings in these photos, but one thing you'll notice is how each is so unique and beautiful. 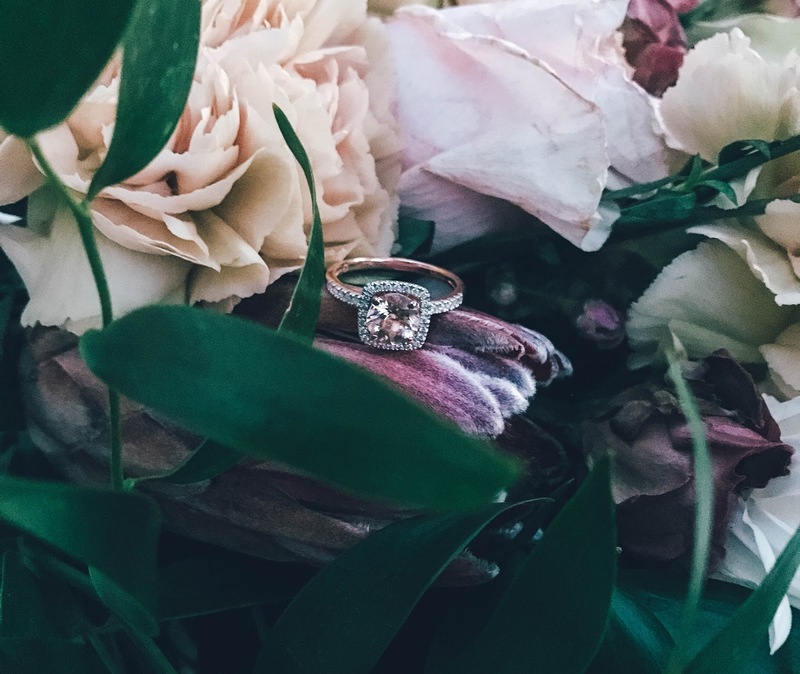 My favorite two rings were the round morganite framed in sparkling round diamonds from the Earthly Treasures Smithsonian® collection, and the insanely beautiful and classic Neil Lane bridal set which just oozed old Hollywood style. It was amazing how well Jared could pull off both modern, and timeless with ease. Oh, and the BEST PART? 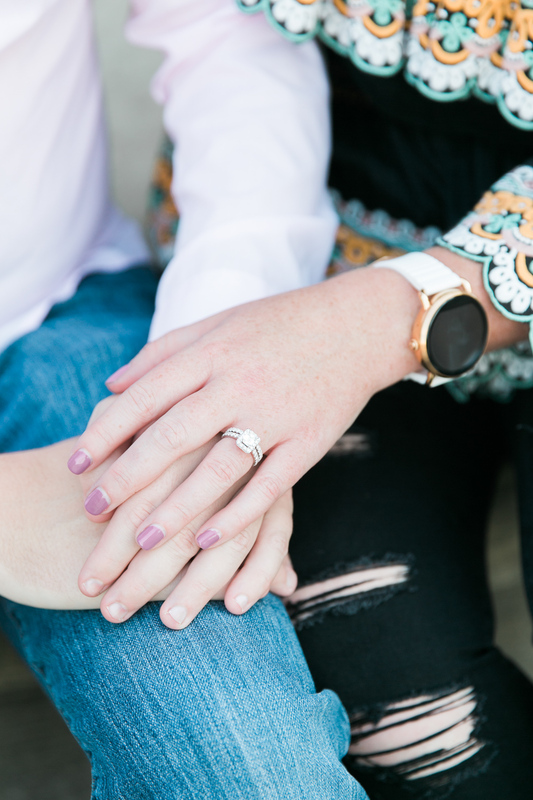 You guys will have the chance to enter to win one of FOUR #JaredTimelessMoments prizes, featuring your choice of jewelry from Jared The Galleria Of Jewelry valued up to $400! See the bottom of this post to enter! I told the team at Jared that I'd love to team up with CB to give a little bit of insight into how he chose the ring he got for me, some things I personally wish I had done to give him some additional tips, and a few of the hurdles he had to jump through along the way. 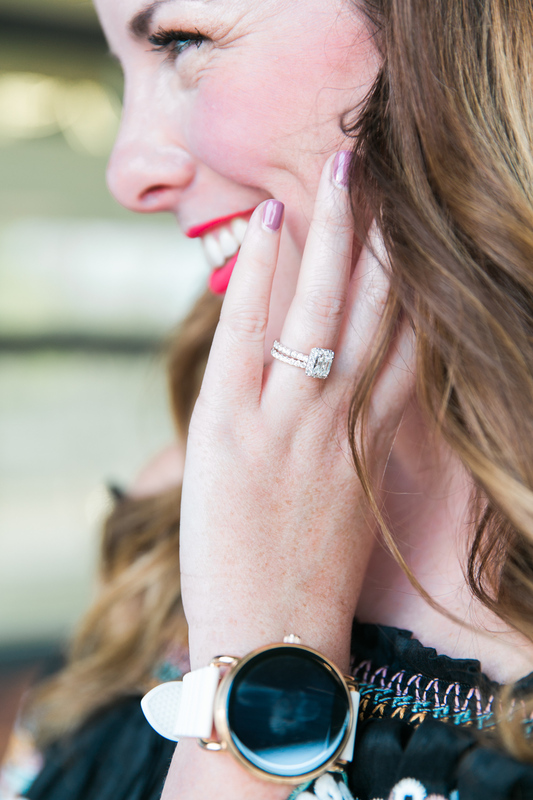 9 Ways to Make Shopping for an Engagement Ring Easier! We hadn't shopped together in advance for rings - shoot, he didn't even know what size I wore because I didn't have ANY rings in the house that he could find. I have no idea how he managed to do this, but CB - by sheer luck - picked the right size ring. That blows my mind, I guess that's how we know it's meant to be. But really, ladies, leave a ring out in a jewelry dish so that they can know what size you are! 2. From CB: Find one YOU (the guy) are proud of. She will be showing it to everyone for the next few months, well, really forever. Not just that, but as I've learned over the last few months there are a TON of photos that will be taken of the ring. 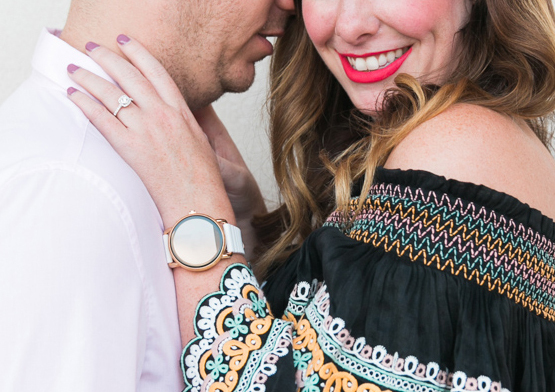 Everything from engagement pictures to simple ring pictures posted to Facebook. 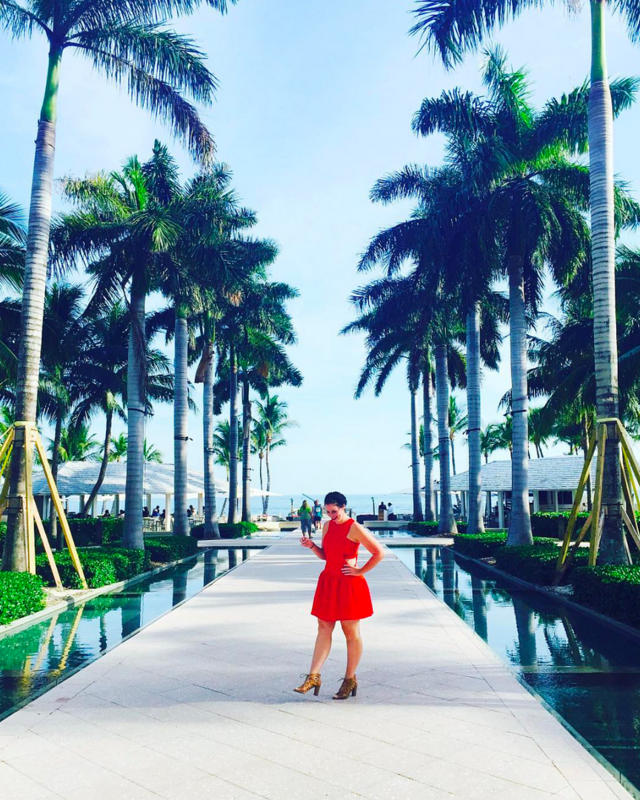 Plus, if you're marrying a blogger (haha) multiply that by 100! You want to be proud of what she is showing off to all of your friends. I'm sure a lot of couples shop for rings together, I'm personally glad CB did it all on his own, just because it made the surprise that much more exciting. Although I didn't do this, I find the idea of doing a Pinterest board - totally genius. CB knows that I do everything on Pinterest (aka- anything I've ever made in the kitchen came from Pinterest) and he told me later on that he actually looked for ring preferences on my Pinterest page. How cute is that? 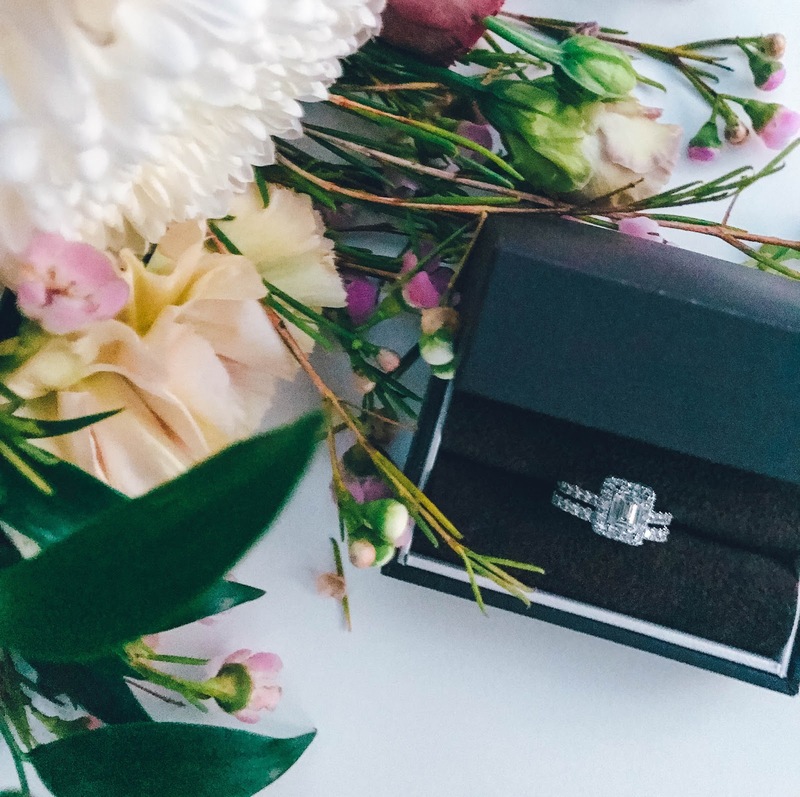 With that said, keeping a Pinterest board stocked full of your favorite ring styles will make life so much easier on your man! It was harder to pull the trigger on this decision than I would imagine many women think it is. Yes, I knew that I was ready to show Sarah that I was excited to commit my life to her, and to show her how much she means to me. However, I had never made a purchase even remotely comparable to this one. Yes, I had bought gifts for many people and of course Sarah many times before. This one was different though. It will be on her finger everywhere she goes for the rest of her life. I really wanted to be confident in the decision, but had no idea how to sort it all out. You are likely making one of the biggest purchases of your life, and you want peace of mind that you are getting exactly what you are paying for. 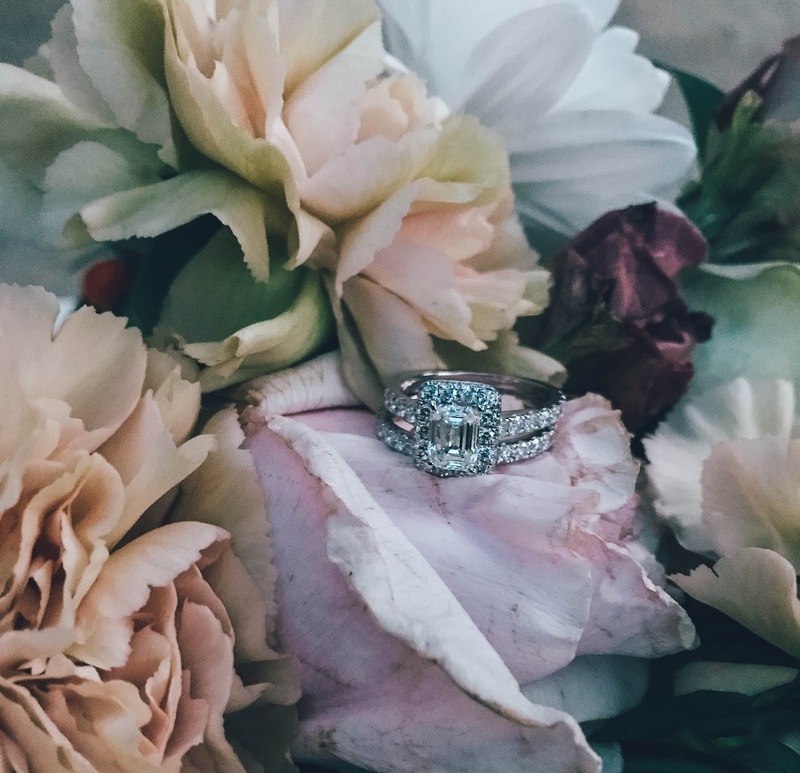 While Jared has access to one of the largest supplies of diamonds, its expertise lies not in volume, but the ability to find guests the perfect stone. They are dedicated to helping their guests find or make the perfect piece to express the way one feels about their loved ones. 6. From CB: Don’t get overwhelmed in the beginning of your search. 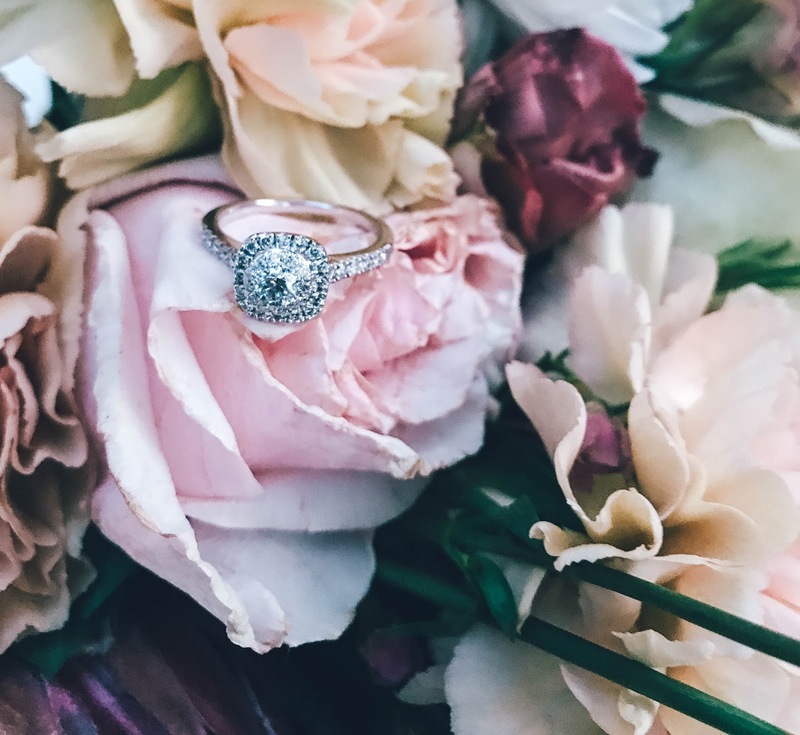 There are thousands and thousands of ring types out there, and it can potentially become a bit overwhelming at first. Eventually, you will narrow those things down to what you want to find and what fits into your budget. Don’t let it overwhelm you. Just keep narrowing your search. 7. From Sarah: Ask for advice from some of your friends or her friends. One thing that made my heart swoon is when I heard that CB had involved my friends and family in the process. They knew he was going to ask, and were ready for the green light to send congratulatory calls and texts when he had! How sweet is that? He also showed them the ring ahead of time to get their feedback and praise. However, don’t let them sway you in things that matter most to you. Not everyone’s opinion is right for you and your soon to be fiancé. 8. From CB: Eventually, in your search, you will find the right ring, and you will know it. There was this one ring that I found very early in the search, and I just kept going back to it. I looked at three or four and then I went back to it, and knew I wanted it to look more like this one. And then again, three or four and then back to that one. All of a sudden, I had that “Ahah dummy” moment where I realized that if I keep going back to that one, then it must be the one that screamed Sarah to me. I looked it over and over and over, and of course it was just slightly more expensive than the number I had in mind so I had it put on hold so I could make a decision within the next day or so. It only took one night of sleep to decide. I knew it was the right one, so I bought it the next day. 9. 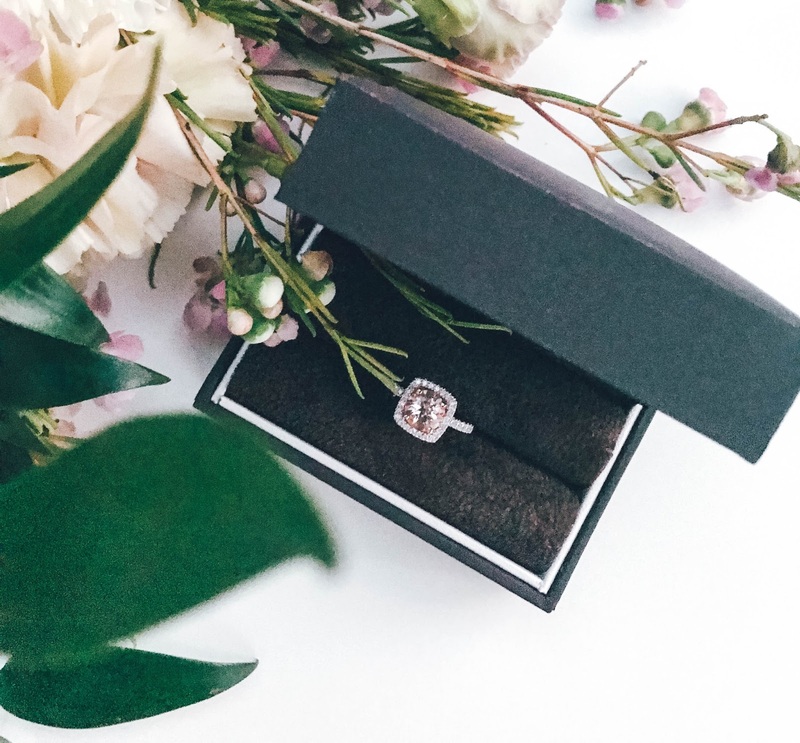 From CB: Once you buy it, POP THE QUESTION ASAP! 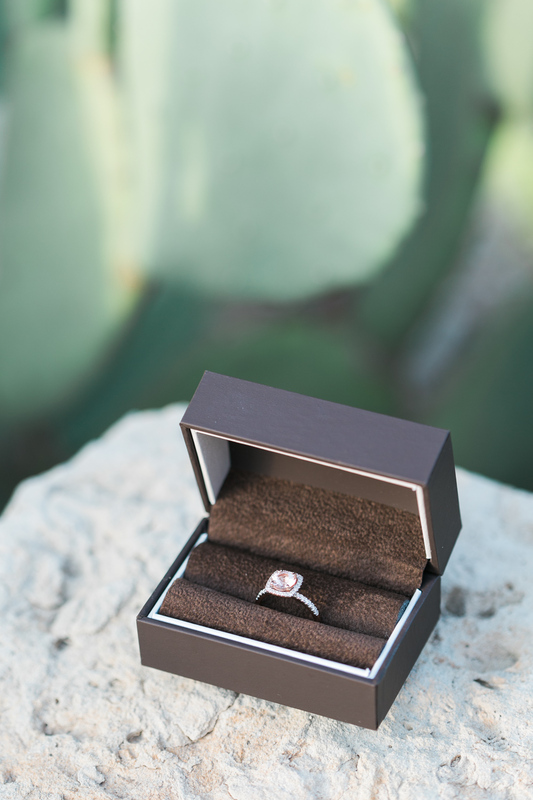 Once I had it hidden at the house, I knew that I had to propose soon. I am not good at controlling my excitement! I planned the proposal for a couple of weekends away. When I put the ring in front of her that day, I knew immediately that I had done well. As far as I could tell, she loved it! She told me it was perfect and it has been on her finger ever since. I still smile when I look at it. 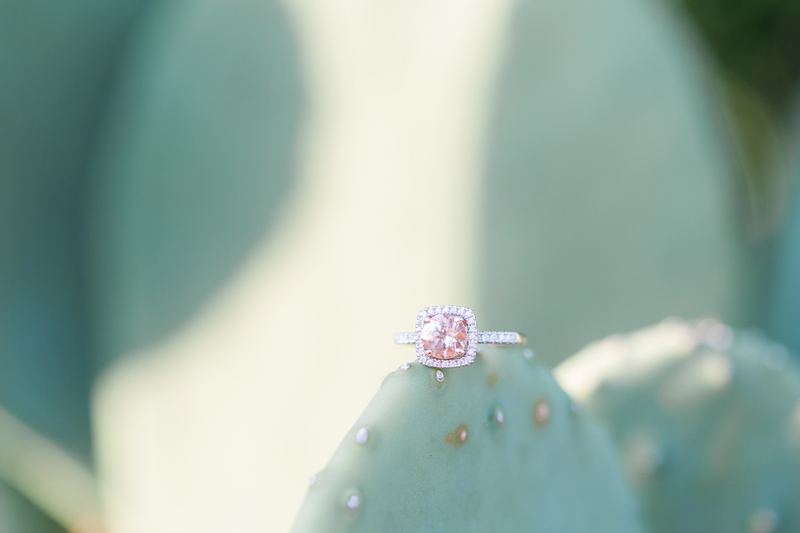 CB obviously did a WONDERFUL job picking this ring, but I know he was more than a little intimidated by the process because he asked me about one million times if I liked the ring. The truth was, I didn't like it, I LOVED it and the only thing I could say over and over again that day was, "It's perfect!!!" 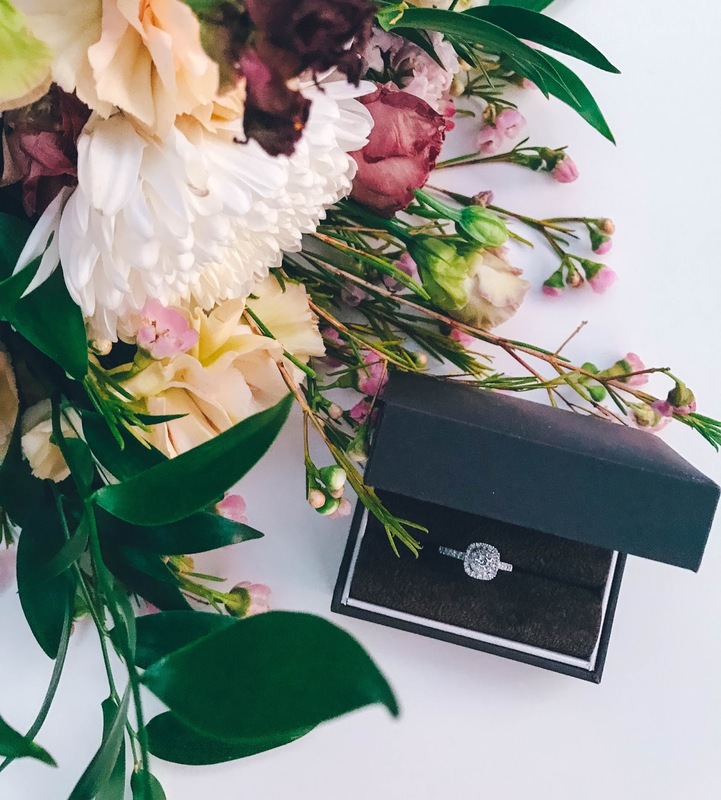 An engagement ring is not an easy purchase, and I love the way Jared approaches the feelings behind the gift of jewelry. They have something for every milestone, and at any price point. We will for sure be heading back to Jared when it comes time to find our wedding bands. Wait, I guess that needs to be done soon, huh 😂?!?! Maybe I should do some wedding planning pretty soon, seeing as March 3rd will be here before you know it! Really cool side note, Jared helped turn my Mom's old engagement ring she was given by my Dad (he passed away when I was 19) into a new beautiful ring she wears today with her current husband, Bobby. That's a sensitive transition that ring needed to make, and my mom did nothing but rave on how they treated her at Jared! I'd love to hear the story behind your engagement ring. Do you think your significant other struggled picking the right piece, or do you think one just immediately jumped out as THE ONE!? Leave me a comment and let me know below! 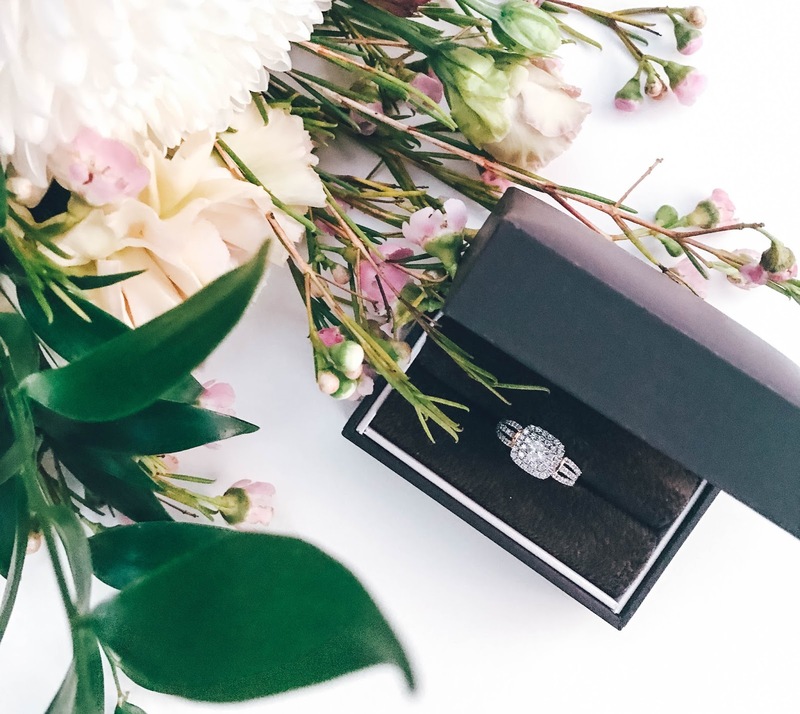 And the next time you have any wedding day jewelry needs - serving as a wedding day gift for your mom or mother-in-law, part of a bridal party look, or a special piece for your own wedding style - the perfect pieces from Jared The Galleria Of Jewelry are guaranteed to match the beauty of any wedding day! Ok, seeing as I'm assuming you're dying to know, here are the rings pictured throughout this story with matching links! You know, so you can pin them on Pinterest -- wink wink, nudge nudge! 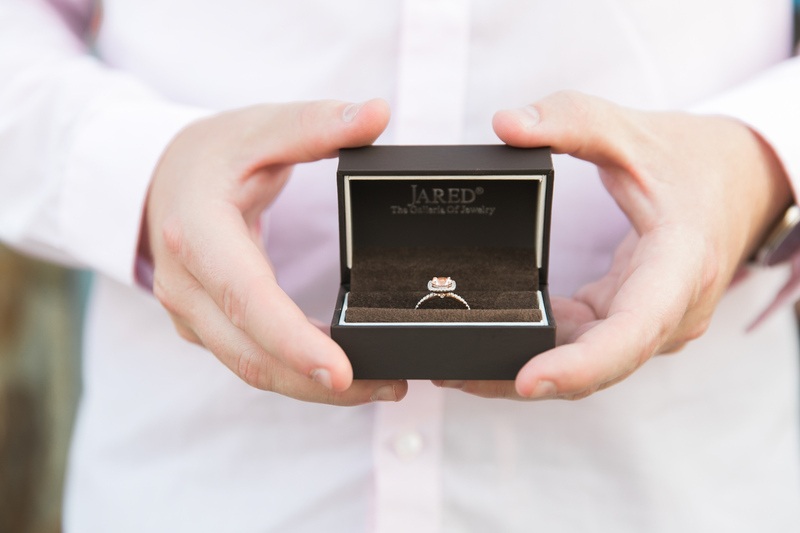 Be sure to follow Jared on Instagram, Facebook and Twitter for all of the bling inspo! Thank you to Llano Estacado Winery for sponsoring this post. All thoughts and opinions are my own. Although the weather doesn't quite feel like it yet (we were still in the 90s last week here in Dallas) the calendar (and my instagram feed) is telling me that it is FALL! Fun fact, I've never had a PSL and probably never will. Pumpkin just isn't my jam. I, however, am all about those boots and tights and scarves... and yes, FOOTBALL! Let's talk tailgates today. Have you ever been at one of those tailgates where they have jugs of sprite and coke that never had the lids put back on and are getting flatter and flatter by the minute. Then there are handles of vodka scattered, no ice to be found anywhere, and red solo cups littered everywhere? Yeah, that's the tailgate we are all used to. 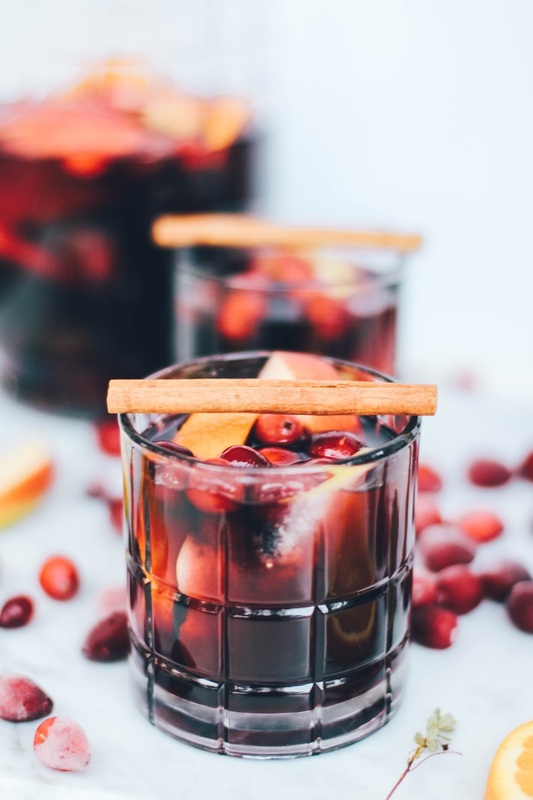 Well, I have a drink recipe today that will cure that problem, because you can make it the night before and you can make multiple batches for the tailgate the next day. 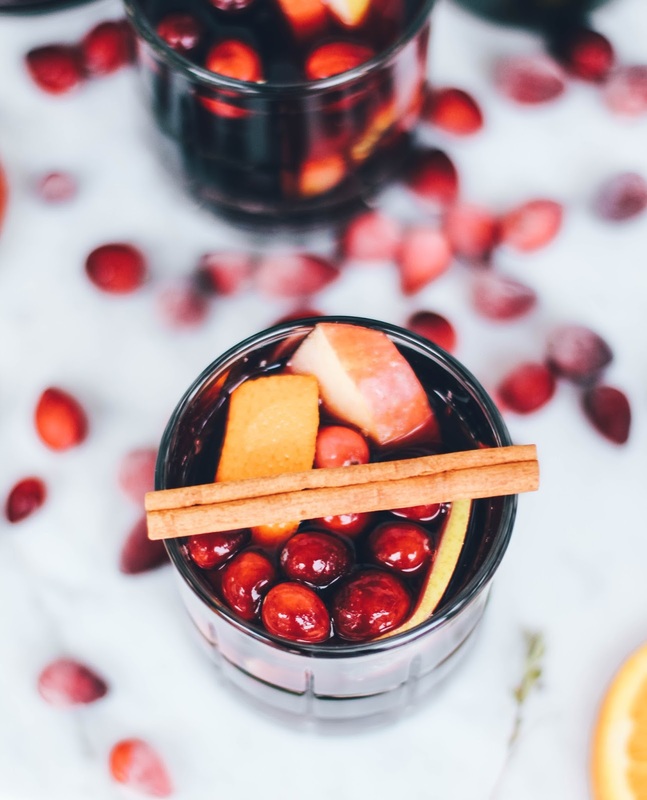 I'm talking about a FALL Sangria made with bourbon and a Cabernet Sauvignon from Llano Estacado Winery. 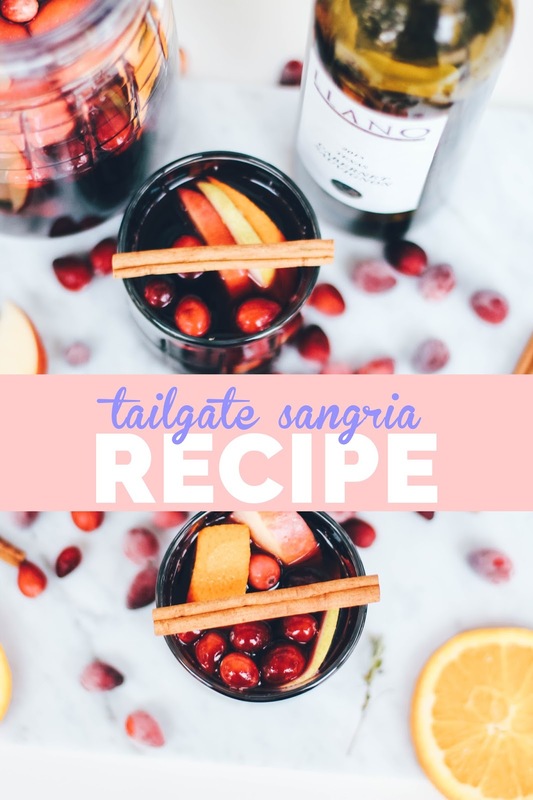 Whip it up the night before your tailgate and everyone will go nuts over it the next day. Obviously in Texas we are known for Football - GO COWBOYS! - but we are also known for our amazing wines. 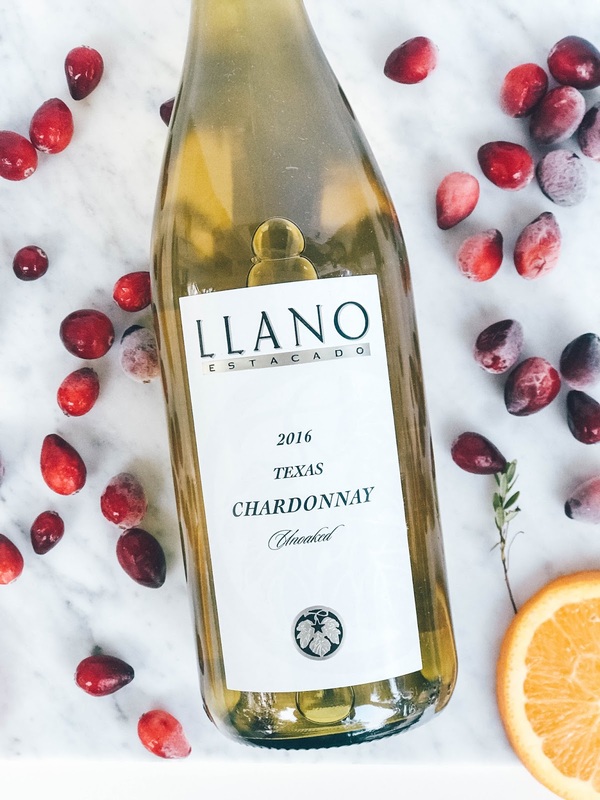 Llano Estacado is the largest, best-selling Premium Winery in Texas and has been an ongoing pioneer in introducing not just Texans, but also the entire world to the great wines made in the Lone Star State. 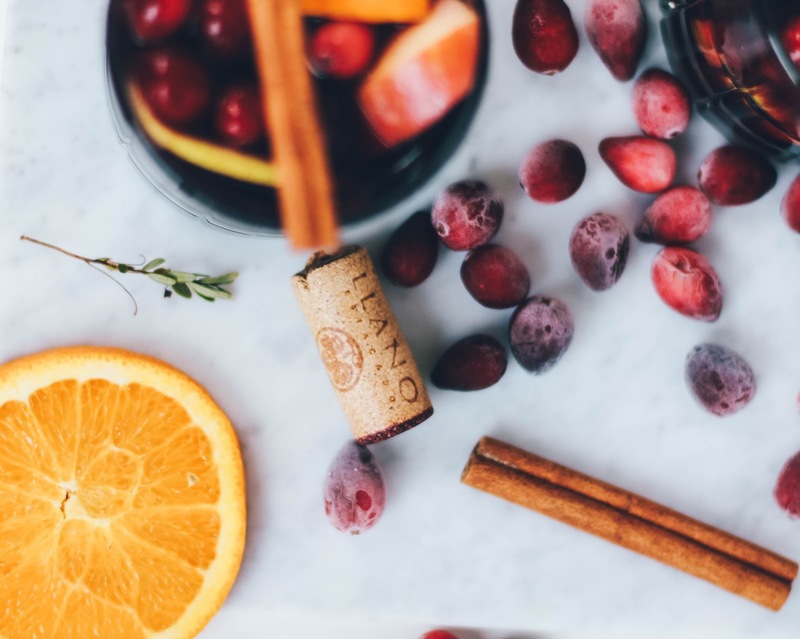 The Llano Estacado winery is located in Lubbock, Texas and hosts a variety of events in its tasting room and event center, including weddings, corporate parties and intimate gatherings. 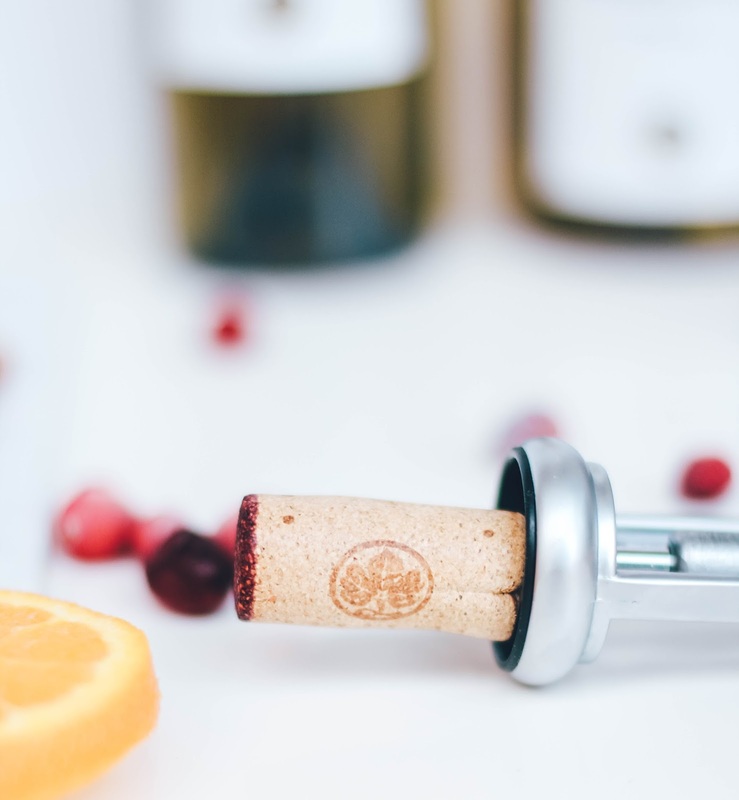 They actually produce over 50 varietals of wine, including the award-winning 2013 THP Montepulciano. If you are not in Texas, you can actually buy them online HERE! 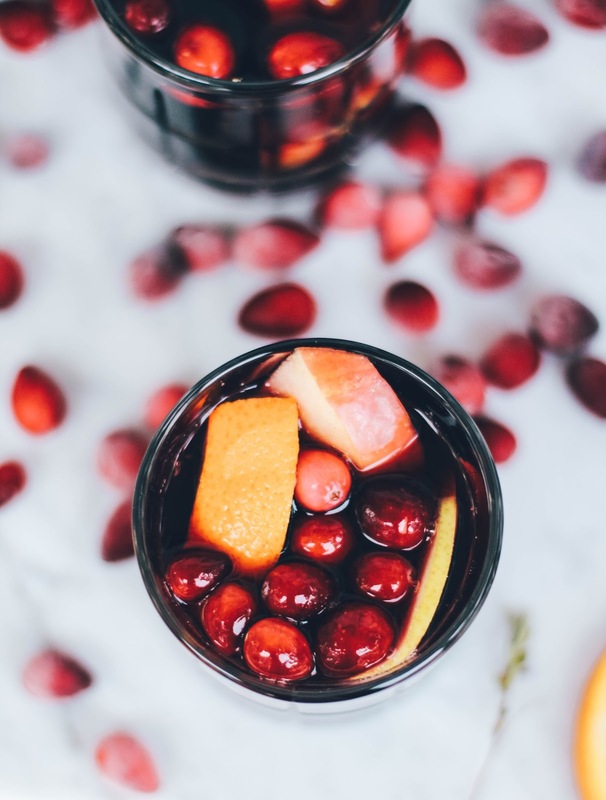 To make this fall sangria though, I used their Cabernet Sauvignon. I've also tried their Chardonnay which has incredible tropical fruit flavors, has no oak and is very crisp. Cut all of your fruit and drop it into the bottom of a large pitcher. 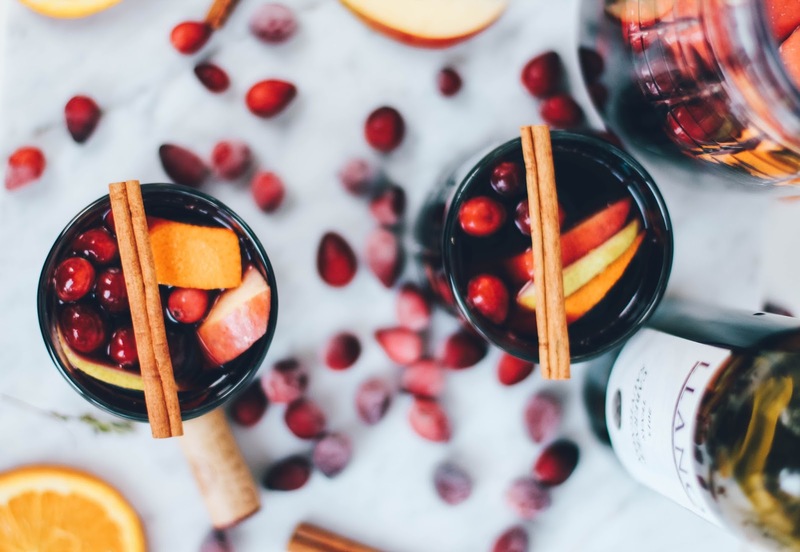 Pour in bourbon, wine and apple juice. Stir. Cover and leave in fridge over night, or at least for 3 hours - 8 hours is ideal to really allow everything to soak in. 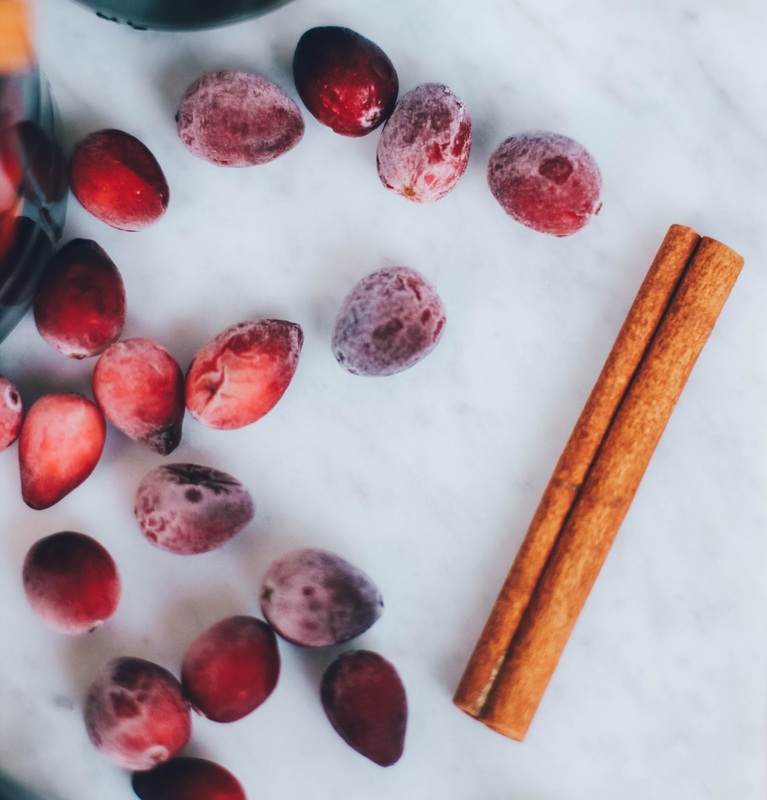 Serve chilled and garnish with a cinnamon stick! 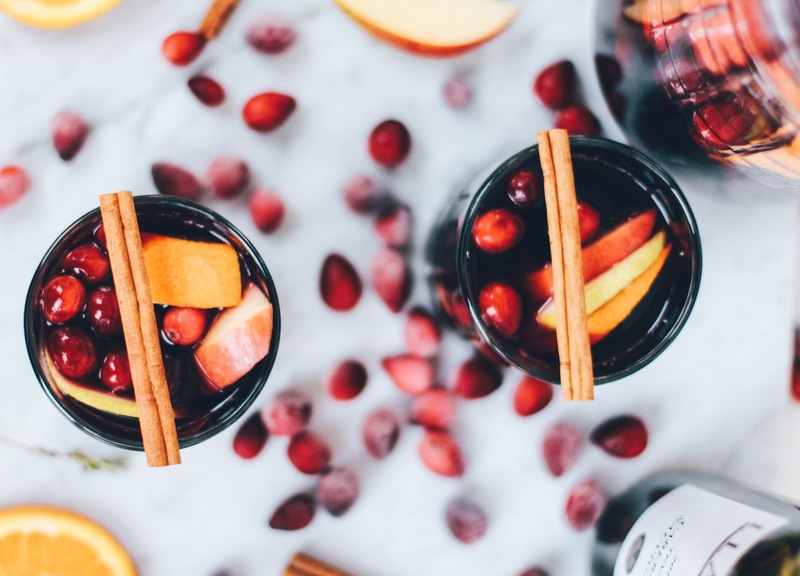 What is your go-to drink for tailgating? Would you make this one?